Remember this woollen dress I posted about last year? It is now finally completely finished! Can you spot the difference? Not only convenient for easily reaching your purse, also warm for your hands! The slits are finished on the inside with a strip of linen, the inner red edge is made with loop braiding and the outer red edge is a fingerloop braid of five bows. Oh my word! It is even more beautiful now! I am currently starting on making a version of Herjolfsnes 42 as well, so this could not have come at a better time. Good luck with yout Herjofsnes 42. It is definitely a pattern I'll be making again. It's very easy to make and very flattering. Obviously yours is based on an original find, but does it also suit a practical purpose to put the slits right in a piece of cloth? Thats a really nice dress you have, interesting with the slits in the middle of the fabric to =) I also like the photos very much! Hope you will update soon again! Feel welcome to drop by my site hantverkat.wordpress.com if you got the time. I want to let you know that I’ve nominated you and your blog for a Leibster award. It’s a way of spreading the word to let others know there are more wonderful blogs out there. Your blog has great writing, good information, lovely projects…and I feel more people should know about it. Accepting the award is completely voluntary, so please don't feel pressured. Here’s wishing you continued success with your sewing and your blogging! Susan, Thank you for the reward! Your blog is very interesting to me, and i love your works! i make costumes as well, but a little bit more ''Fantasy inspired''. 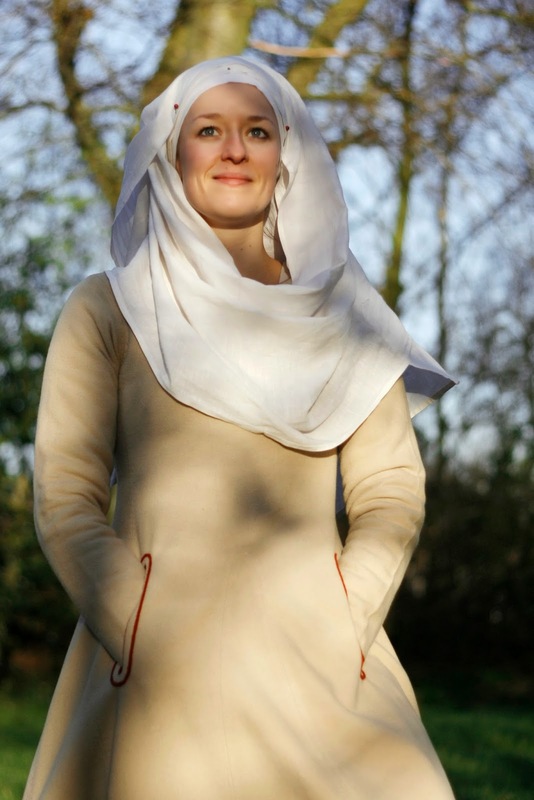 Come to visit my new blog if you like, my latest post is about a medieval inspired dress!